Naurtech CETerm - CipherLab Co., Ltd.
Naurtech CETerm is a Terminal Emulator (3270,5250, VT) and Industrial Web Browser supporting CipherLab's Windows®-based mobile computer. Comprehensive data collection features such as mobile printing, barcode scanning, and application customization allows workers to efficiently access and update their business application data to make critical decisions and be responsive to their customers' needs. Naurtech CETerm is tightly integrated with and certified by industry-standard platforms such as SAP Netweaver ITSMobile to ensure all required remote tasks are met. Access legacy and Web applications wherever the work takes you with CipherLab's mobile computer with Naurtech CETerm software. 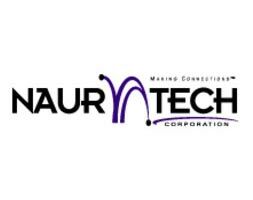 For more information, please visit www.naurtech.com.